Posted May 4, 2015 by trekkit & filed under trekkit. This month we are taking a break from our Wonders of Iceland series. The series will be back next month. 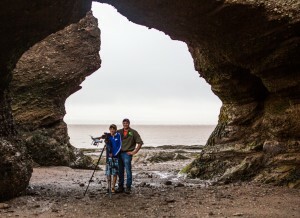 Last summer we had the pleasure of filming a Trekkit TV episode at Hopewell Rocks. The staff at this New Brunswick Provincial Park were enthusiastic to have us there and their participation greatly enhanced this show. We took Vincent, the quadcopter, and filmed the flower pots from the sky, what a view! 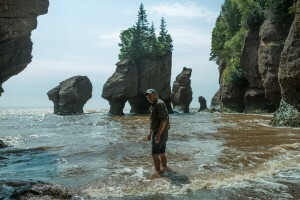 The Hopewell Rocks is truly a natural wonder of the world, these rocks formations along with some of the highest tides in the world make a great day adventure. In this episode, we get a geology lesson about the structure and formation of the rocks plus take a visual journey and experience the low and high tides. Hopewell Rocks Trailer, click here. 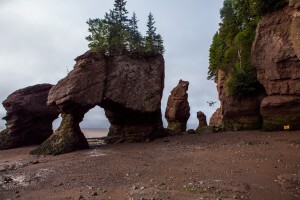 For more information about Hopewell Rocks, click here.